Brighton and Hove got their first mayors in 1854 and 1898 respectively when each town was incorporated. Lieutenant-Colonel John Fawcett was Brighton’s first and George Baldwin Woodruff was Hove’s. The mayoralty of Brighton & Hove was created in 1997 when the two boroughs were merged to form a single unitary authority. Visitors to the Mayor’s Parlour must first ascend Brighton Town Hall’s magnificent staircase to reach the beautiful room on the first floor. 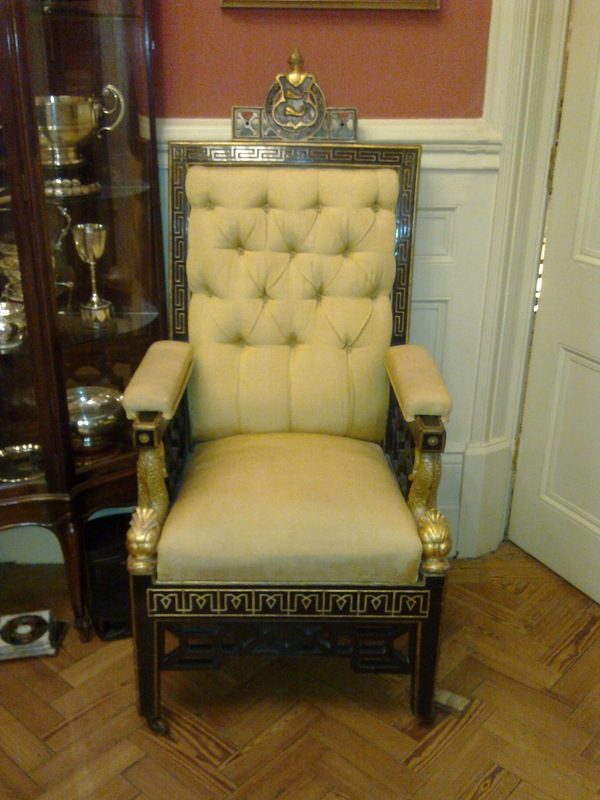 It’s a large space filled with a number of pieces of furniture, some on loan from the Royal Pavilion. It was not built for this purpose though. Before 1997, the Mayor of Brighton’s parlour was in the Royal Pavilion and the Mayor of Hove’s in Hove Town Hall. 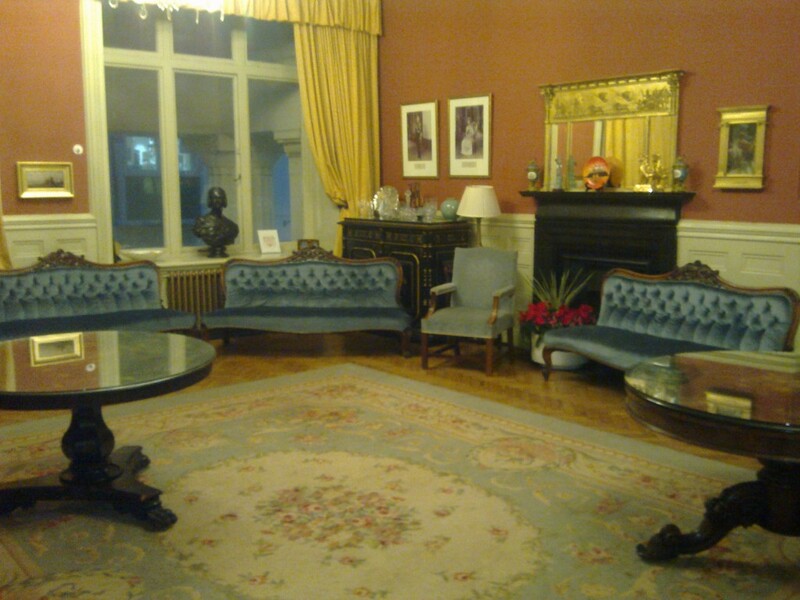 The Mayor’s Parlour has parquet flooring with deep red walls and wooden panelling. Ornaments include a bronze bust of Queen Victoria dating from 1839 and signed photos of the Queen and Prince Philip from a visit to Brighton in 1979. Visiting the Parlour is without doubt a real privilege but many people have had the opportunity over the years due to the welcoming spirit of a number of successive mayors. The Mayor of Brighton & Hove has the use of two sets of chains – one from Brighton, one from Hove. The Hove chains are not used though, apparently because they are too easily identified as being from Hove specifically – by the presence of the letter ‘H’. There is a mace from Brighton which contains a parchment with a list of contributors, and a mace from Hove which is bigger. Brighton’s number plate, ‘CD1’, is used because Hove’s plate, ‘H2 OVE’, clearly relates to Hove. Incidentally, there is a portrait of Robert Robertson, the Mayor’s Chauffeur above the regalia cabinet. It has a good likeness too; much better than Three Children, a painting on the other side of the room dating from around 1840 featuring three creepy kids with massive heads. The current Mayor of Brighton & Hove is the lovely Cllr Ann Norman and the Deputy Mayor is Cllr Garry Peltzer-Dunn who served as Mayor last year. Pat Dines is the Mayoral Secretary and does a thoroughly good job in running the Mayor’s diary – and that means around 750 events per year! If you would like the Mayor to attend a function or would like to visit the Mayor’s Parlour, please contact Pat Dines on 01273 291223 or pat.dines@brighton-hove.gov.uk.